What comes to mind when you think of the EU? Brexit? Freedom of movement? The European debt crisis? 10,000 school students from all over Germany, environmental NGOs and Greenpeace activists demonstration for more climate action in front of the Ministry of Economic Affairs in Berlin. How about protecting the environment? Safeguarding the living world isn’t something most of us would naturally think about when it comes to what the EU is responsible for. So it might come as a surprise to hear that a large chunk of EU laws govern how clean our air or water should be, or how to produce our food and energy. This is a side of the EU that rarely makes the papers. But the EU has rolled out dozens of laws and directives aimed and benefiting the natural world. The EU has done many good things on the environment. And if Europeans elect the right people to the European Parliament at elections taking place this May, it could do even more. What has the EU done for the environment? Since the 1970s, the EU has brought in a host of environmental regulations designed to protect natural habitats, keep our air and water clean, ensure proper waste disposal, protect us from toxic chemicals, and cut down on greenhouse gas emissions that fuel climate breakdown. Some of the laws are so effective that polluting industries are pushing hard to get rid of them. For a start, the EU has rolled out a suite of laws aimed at cleaning up the air we breathe. The laws aim to block the car industry from selling highly polluting vehicles and restrict air pollution in heavily populated areas. As members of the EU, countries that fail to meet these European laws can even face legal action – which is exactly what’s happening to six national governments who’ve failed to clean the air their citizens breathe. The EU also has tough laws to protect our rivers, lakes, wetlands, streams, coastal waters and groundwater. However, in many cases it is again national governments who do not comply with these requirements. For instance, more action from the European Commission – the EU’s executive arm – is needed to make sure countries enforce EU rules on water pollution. Another example of what the EU has done are the laws on the use of genetically modified organisms (GMOs), which require risk assessment and labelling of all GM crops and animals. These rules on GMOs have meant that EU farmers grow almost no GM crops, thus avoiding the disaster of herbicide-tolerant GM crops grown on fields drenched in dangerous chemicals like glyphosate. Though unsurprisingly, the agrichemical industry and some governments are keen to unravel these laws. Despite a broadly positive track record, there is still a lot to do to reform some of the EU’s most prominent policies, which still have a massive environmental cost, and make it more difficult to protect nature and a healthy climate. The Common Agricultural Policy – better known as the CAP – has meant that farming subsidies are spent on environmentally damaging, industrial farming practices. That means EU taxpayer money is used to fund activities that pollute our air, soil and waters, cut down space for wildlife and emit massive amounts of greenhouse gases. The EU needs to urgently redirect these funds to promote ecological farming to protect the very resources our food production relies on. The EU’s trade deals agreed with an increasing number of countries across the globe also have an environmental footprint – for instance by advocating a destructive industrial agricultural system that promotes the use of land to grow animal feed instead of food for people. Some trade deals, like the deal between the EU and Canada, could also allow global corporations to attack European health and environmental standards through special investment tribunals. Why vote in the European elections? 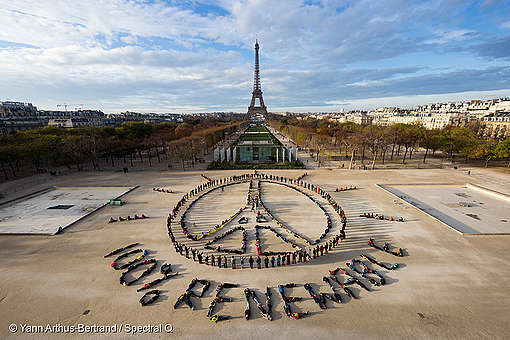 The most obvious and pressing issue for the EU to deal with is the global climate crisis. Since this is a global problem, it requires an international solution. So as a powerful bloc of nations working together, the EU is better placed than any of its individual countries to tackle the problem. The EU is currently the most advanced major economy to take climate change seriously. It has already set itself objectives and devised measures to reduce greenhouse gas emissions. But these are still not adequate to keep the world under 1.5 degrees of warming, the threshold to prevent the worst effects of climate change. The EU can only do better if we vote in politicians who recognise the importance of protecting our natural world, and act upon this. Only by maintaining, enforcing and expanding environmental laws can we prevent the collapse of the climate and wildlife. 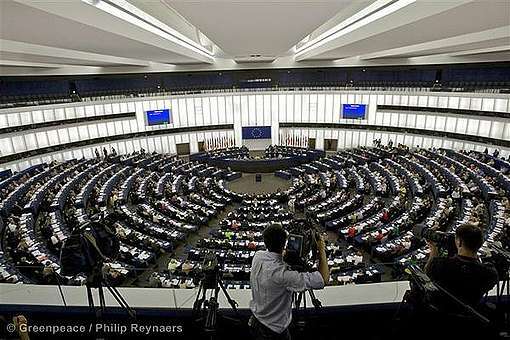 At EU elections this May, Europeans have an opportunity to shape the European Parliament’s make-up in this direction. However, there is at the same time a real risk the EU will take a step in the wrong direction. Like never before, politicians who do not care about the environment, and who openly question climate science, are hoping to gain power within the EU – doing so on campaigns that whip up division and anti-European feelings. This is why we can’t afford to stay at home in May. 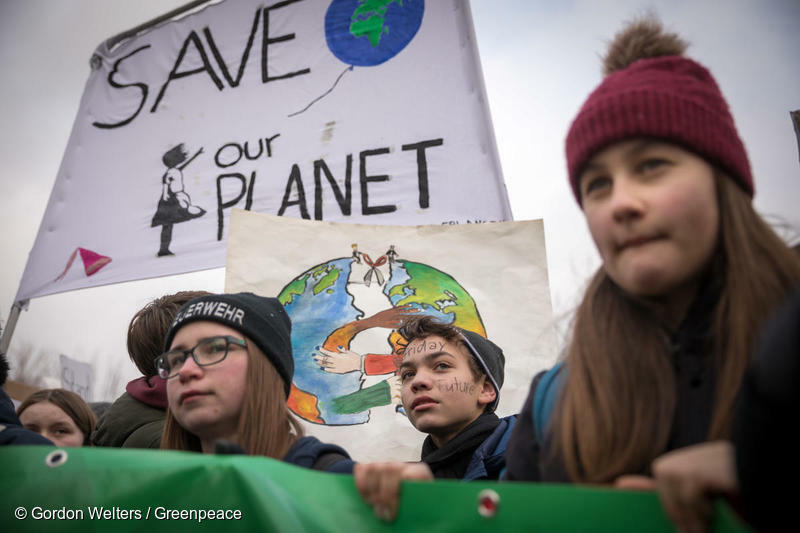 If climate deniers are elected in growing numbers, it would set progress back right at the time when a climate emergency is unfolding. So, if you haven’t already, make sure you mark these elections in your calendars and please tell your family and friends to do the same too.